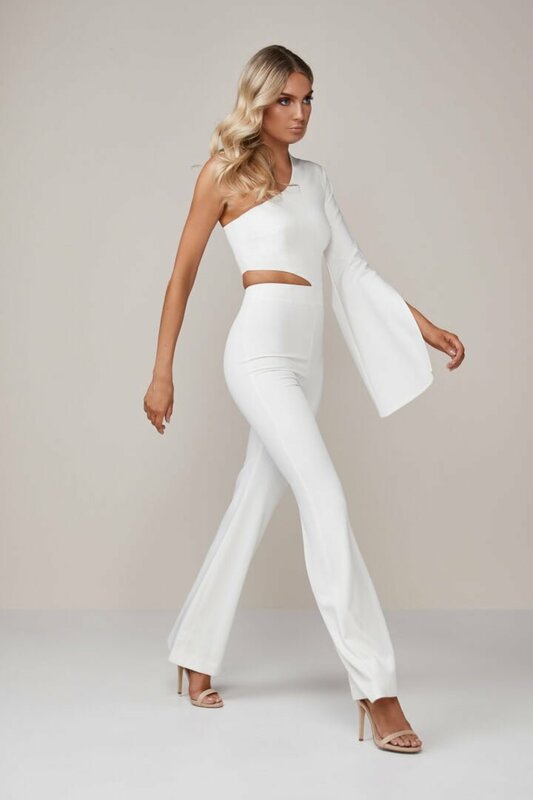 The Last Act Pantsuit is a one shouldered design featuring a flared sleeve with open slit detail. The neckline meets at a point at the nape of the neck creating an asymmetric finish. This styles also features an abdominal cut out on one side and flared pants for an elegant look. Centre back zip for closure.